TOA Subwoofer, 12″, 600 W, Black or White. The FB-120B (not pictured) or FB-120W is a compact, indoor-use subwoofer system employing a high-power 12” (30cm) woofer. 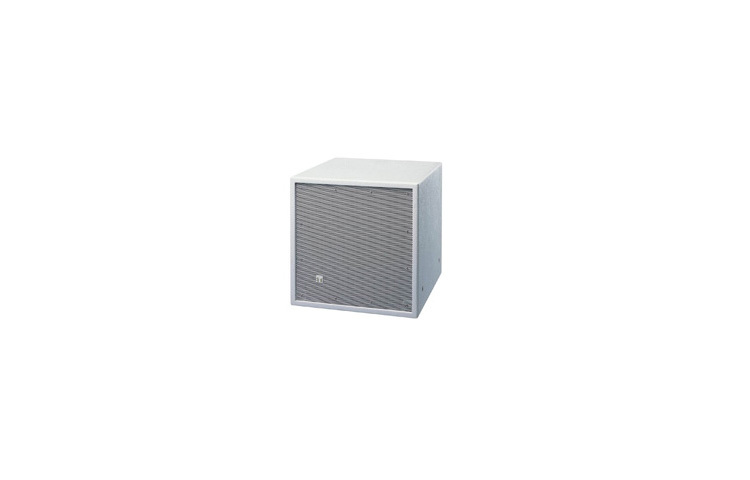 It is designed for use in conjunction with TOA’s HX-5 Series or other full range speakers, and is particularly ideal for reproducing dynamic low-frequency sound for both permanent and temporary installations.